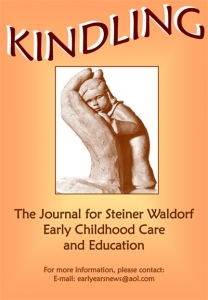 KINDLING, the Journal for Steiner Waldorf Early Childhood Education and Care is printed twice yearly (spring and autumn). It is of particular interest to parents, teachers and educator/carers of children between birth and seven. KINDLING is distributed worldwide. Each issue has a particular theme, such as warmth, movement, nutrition, storytelling and puppetry, sleep and care, the senses, child study and self-reflection, buildings, toys and equipment etc. 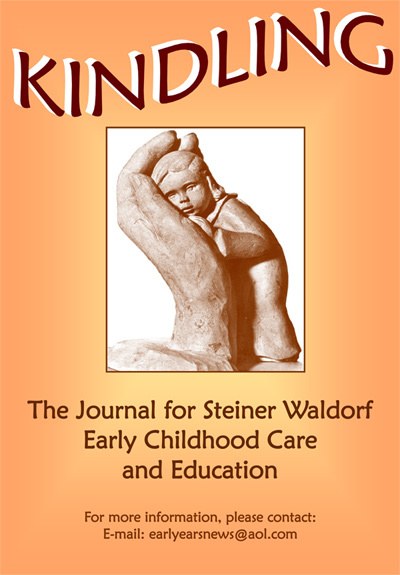 KINDLING is a subscription only journal, and is available only in this form (not online). For information on how to subscribe and the costs.